For the retail industry TOPAZ Digital are in a unique position to be able to offer an extensive range of technological solutions to both broadcast your message in a dynamic and eye catching way, increase recall of message and influence buyer behaviour, plus the ability to interact directly with your target market all whilst controlling your messaging from regional or national headquarters putting you & your marketing team in total control. 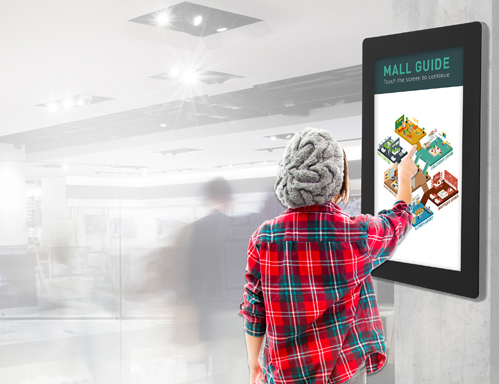 For any retail environment the use of digital can almost be limitless. Below are a few examples of some of the targeted solutions we can offer your industry and how these can best be applied – however this represents just a small proportion of what we can offer your business and we would be happy to discuss specific requests directly. Traditional methods of highlighting promotions using cardboard headers often look lacklustre and fail to do any more than pass on basic information to the consumer, our digital feature end is creating waves within retail due to its innovativeness and the power generated by its communication. Enabling you to display thought provoking and emotive content you are instantly differentiating yourself as a business and with all this extra attention and impact the sales uplift can be sizeable. The solution comes with a powerful media player to store the content which is Wi-Fi enabled so it allows you to manage all the content across your estate from one central location, making sure you are showing the right content at the right time in the right location. Communicating with your customer at the shelf or point of sale can be challenging, but failing to embrace this can also be a lost opportunity. Consumers are most open to influence at these key times either for product information or promotions enabling you to leverage upsell opportunities if done correctly. These need to be communicated effectively and subtly to the consumer to help upsell their basket, rather than relying solely on staff or a paper poster our Digital Shelf Talker solution can put you in front of your customer at just the right time, plus with the ability to display dynamic and immersive content their attention is naturally drawn to your message. With all the same benefits as our larger solutions including remote management our 10” shelf talker is a great addition to your communication strategy. For any store, creating maximum impact is essential regardless of the message you are displaying. In today’s busy world people are used to seeing digital messaging, from their TV at home to the screens we all see in daily life which is why standing out from that crowd is essential in creating real impact for your message. 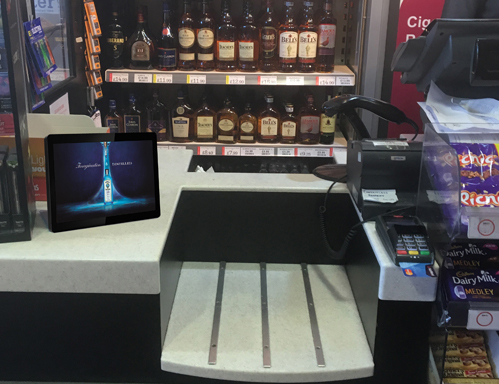 Unlike a traditional display, our Freestanding Solutions can be deployed extremely quickly as they are wheeled into place and only require power enabling you to position for a specific promotion and then easily move to an alternative area of the store. 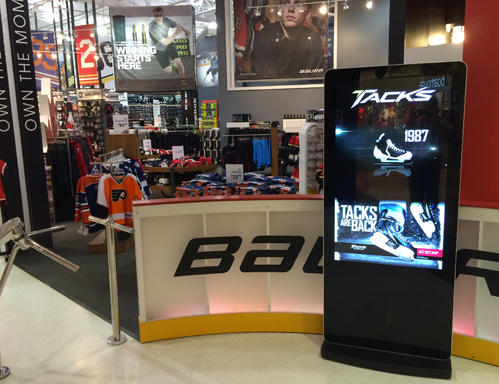 Plus with their vertical tablet like aesthetics they instantly draw attention and create a focal point within store. 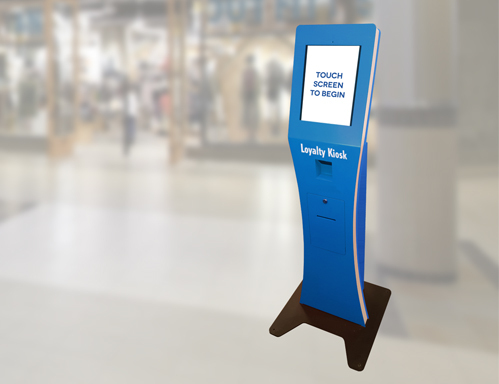 Either used at key locations to highlight general store information and promotions or used as a focused end cap solution to create maximum awareness for a specific brand this is one of the most impactful digital solutions you can deploy. 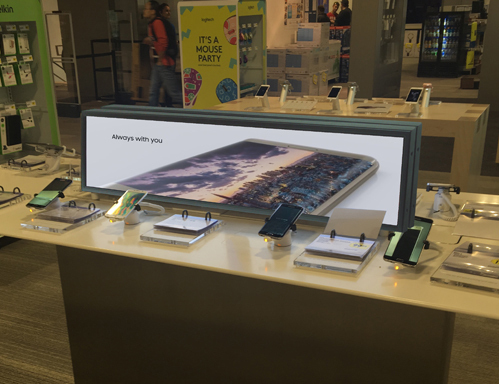 In today’s busy world customers want information at their fingertips and whilst dynamic digital solutions throughout your store will increase message awareness and promotional uptake there is no substitute to creating and deploying a truly personalized interactive solution to reach your customers on a whole new level. 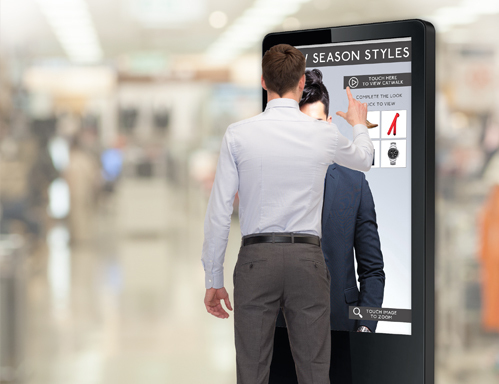 From a wayfinding deployment to help customers’ locate items quicker, to an aisle ordering point offering customers an even broader range of merchandise – whatever the application we have the technology and the software expertise to create a fully customized and cost effective interactive solution for your store. A custom kiosk deployment is an ideal way of creating a focal point in store whilst providing a valuable delivery point for services you are offering, from loyalty coupons to endless aisle we can design & build a kiosk solution that fits your exact requirements both from an aesthetic design and a functionality perspective plus our software team can work with you on developing a custom user interface and integrate with any of your existing back-end functions.